Spring Awakening, Cruel Intentions: The Musical and Dear Evan Hansen… do you see a theme here? Yes, of course, these three shows explore serious topics through the lens of their teenage main characters, but that is not the common thread we’re looking at here. 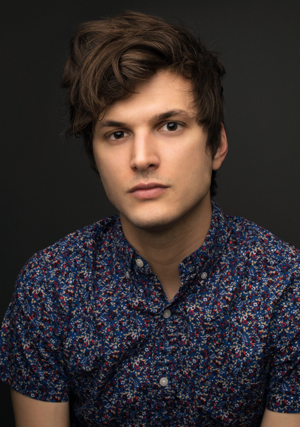 Currently playing ‘Connor Murphy’ eight times a week at the Music Box Theatre in the Grammy and Tony winning Best Musical Dear Evan Hansen, Alex Boniello is no stranger to modern pop scores and brooding on-stage. Boniello made his Broadway debut as the voice of Moritz in Deaf West’s historic revival of Spring Awakening and returned to the Great White Way in May, taking his first bow as the production’s newest Conor Murphy. Want to know what he’s like off stage? Take it away, Alex! I think I am easy to work with. It’s simple, but important, and I pride myself on it! I’m proud of a lot, but I think opening our revival of “Spring Awakening” on Broadway. It was my Broadway debut, but it was also an incredibly special and rare work of art, and group of people. I felt lucky to be a part of it, while also remaining proud of how hard I worked to get there! Honestly, water. But if you mean alcohol, mostly anything with whisky! Literally anything from this restaurant called NIX near Union Square. It totally depends on the food! But I love a good BBQ sauce, and a good mustard. Most recently, it was the “Spider-Man” video game. I completely 100% beat that game. It was ridiculous. I couldn’t be pulled away. Sometimes I wish I could just delete all forms of social media. I’d really love to originate a role on Broadway. I’ve been a part of an original cast with the “Spring Awakening” revival, but I wasn’t the first person to ever play that role! That, and to be a series regular on a TV show. To really build the show with a crew, and a cast of people you know seems wonderful. Instagram and Twitter. Lord, help me. My persistence from my dad, and my sensitivity from my mom. Honestly, the above answer totally applies here as well. “Stanning” things. It makes me incredibly uncomfortable when people violently love something, and defend it to the DEATH. I am bad at picking my favorite anything, but I love the Morris Jumel Mansion up in Washington Heights near my apartment. Beautiful, spooky, weird, super cool. Cats are more my speed, but I love all animals!!! I’m not sure, exactly, but I think it would probably involve there being snow outside, a warm fire inside, video games, my favorite people (and my cat), and absolutely no responsibilities.